This knife has a solid titanium blade that is light weight and harder than steel. The 5" blade will not rust and holds a sharper edge than stainless knives. 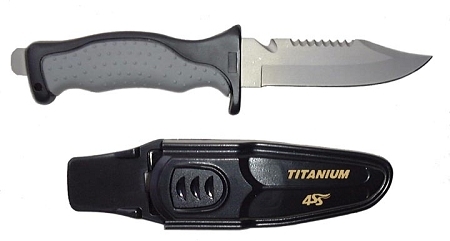 Knife has titanium hammer on bottom and easy grip rubber molded handle. Quick release sheath and knife straps included.